Frederick Douglass, excerpt from a speech given at the meeting of the American Anti-Slavery Society on December 4, 1863. We’ve talked about Frederick Douglass in previous posts but this speech excerpt is one of my all-time favorite Civil War quotes. Douglass was an incredible visionary and often found ways share his ideas through publication or meeting with influential people. It took time and usually others did not convert to his position or ideas as quickly as he would have liked, but eventually many of Douglass’s hopes and beliefs became part of the Lincoln administrations efforts through proclamation or legislation. Douglass’s story and opinions are particularly powerful since he had experienced slavery firsthand, making his escape from the South in 1838. He pursued education and dedicated his life to working for the abolition of slavery and advocating for social reforms and civil rights. 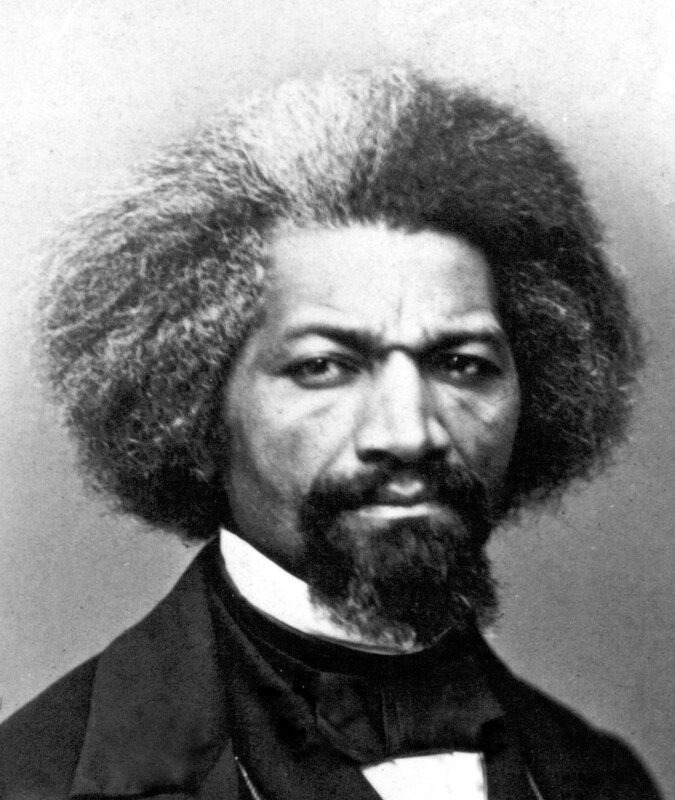 Douglass was a well-known orator, writer, and had power in his circle of influence which eventually became helpful to President Lincoln and the Union cause. 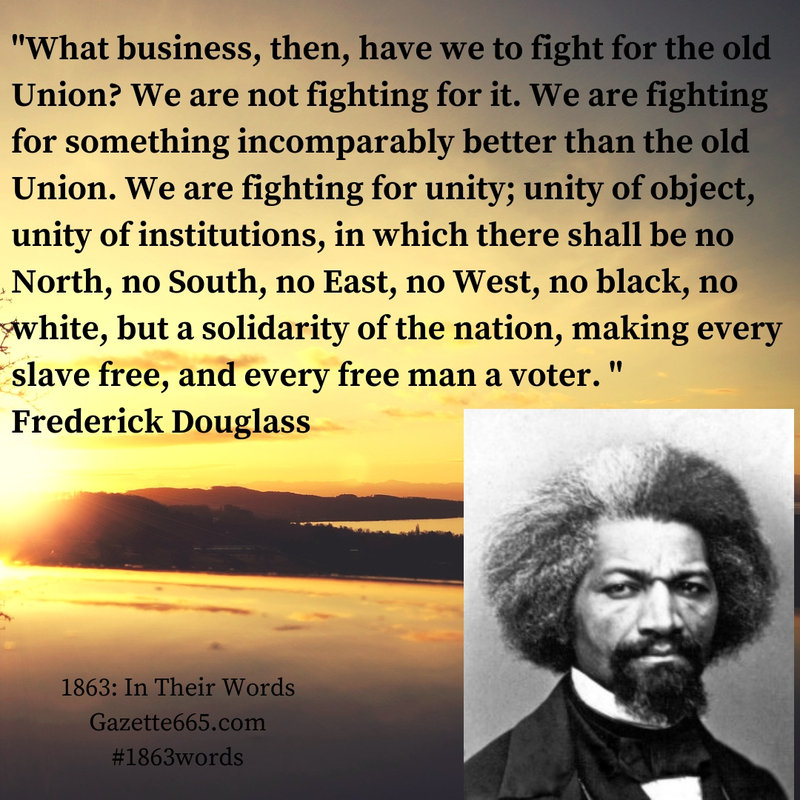 Douglass’s speech (the above quote is an excerpt) was given at the 30th Anniversary meeting of the American Anti-Slavery Society on December 4, 1863, in Philadelphia, Pennsylvania. 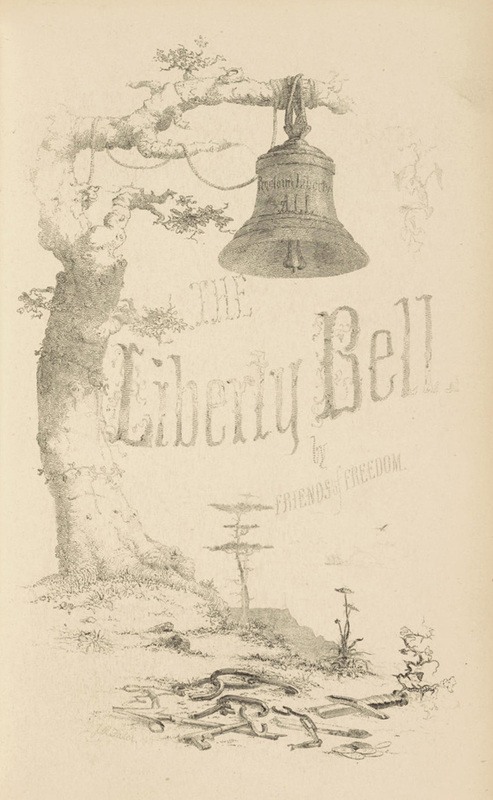 Formed in 1833 by William Lloyd Garrison and Arthur Tappan, the society was comprised of local chapters and had 250,000 members just five years after its founding. Later the society split as some leaders and chapters became more radical, but the American Anti-Slavery Society continued to meet until 1870 and continued to press for civil rights as suggested by Frederick Douglass and other leaders. Douglass references happenings that would have been familiar to the listening members. Prior to the war, legislation allowed slave catchers to hunt for escaped slaves in the north and drag those freedmen back to slavery. Also, slave insurrections in the south could technically have been put down by Federal troops or even militias from the north if ordered. These antebellum happenings or possibilities had fueled the abolition fire that had been kindled on the road to the Civil War and burst into the war’s causes and outcomes by 1862. In this speech, Douglass argued that while the union of the states must be preserved, there would be no going back to the old-style of country and government from the antebellum period. Slavery’s days were numbered in America and would not be returning when the conflict ended. More opportunities – citizenship, voting rights, and civil rights – were next on Douglass’s priority list, ensuring a unity, freedom, and equality. The 13th, 14th, and 15th Amendments to the U.S. Constitution during the Reconstruction Era granted those rights, but – unfortunately – the Federal and State governments did not always enforce the law of the land. One can’t help wondering what might have happened if Douglass’s ideas and the amendments had been better carried out during the post-war period. Would there have been a greater chance for the grand unity of nation and people that Douglass envisioned?